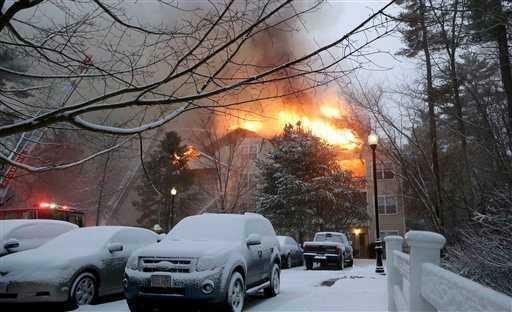 Boston Massachusetts Public Insurance Adjusters Helping Winter 2015 Snow Storm Victims. In winter 2015 the eastern coast of United States was hit with many heavy snow storms paralyzing cities including Boston and all of the State of Massachusetts. These snow storms caused massive damages to many industrial, commercial and residential properties costing millions of dollars in water, roof and ice damaged properties and a rising number insurance claims filed. Insurance companies reported a jump of 63% in insurance claims filled by business and home owners whose property or business suffered massive damage due to snow storm. There has also been an increase in requiring public insurance adjusters services in the effected area with property owners needing help with their insurance claims to be able to receive maximum financial benefit as written in their insurance policy coverage, many private and independent insurance claim help adjusters have flooded the effected States including Boston and all other counties in the State of Massachusetts. These insurance adjusters such as Pride Public Adjusters Licensed adjusters have many years of experience in handling large and massive insurance claims and dealing directly with the insurance companies. Capable of reading through the lines of your insurance policy and get the property owners who have suffered losses due to these storms.